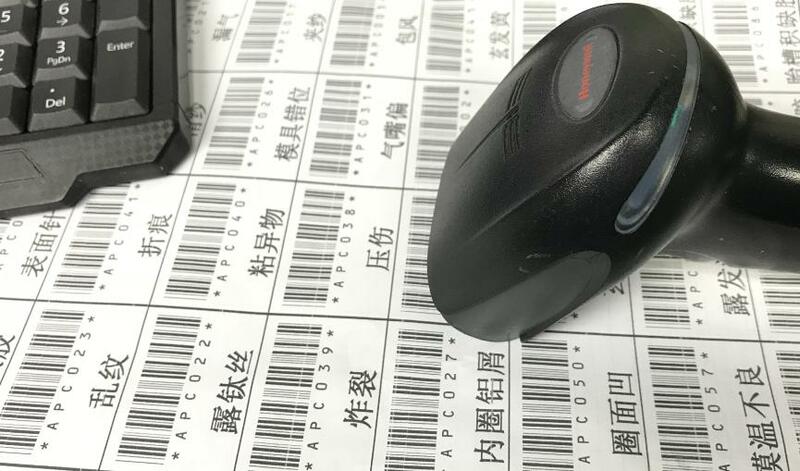 Need complete QC system to make sure quality of every hand made product. 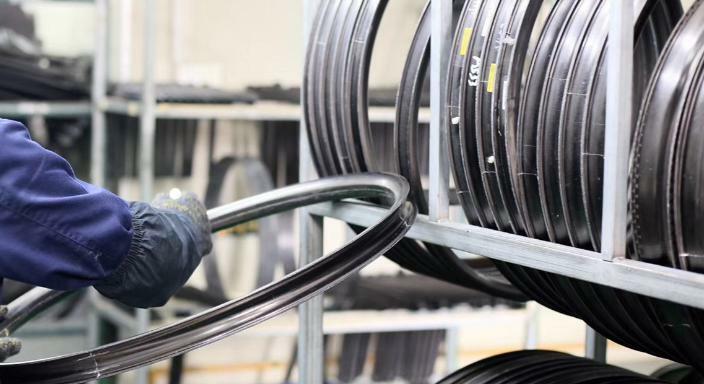 Bar code on every rim to work with our own ERP can do the job. Check on in-coming materials. 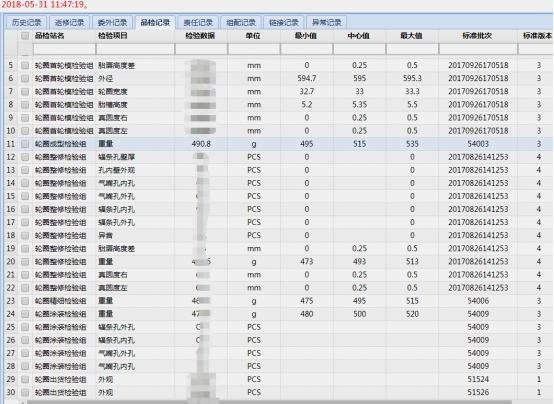 Need great carbon fiber prepreg with correct weight, fiber grade, resin, thickness and even packing. Check the cut prepreg sizing. Every worker will get exactly the amount they are assigned every day. 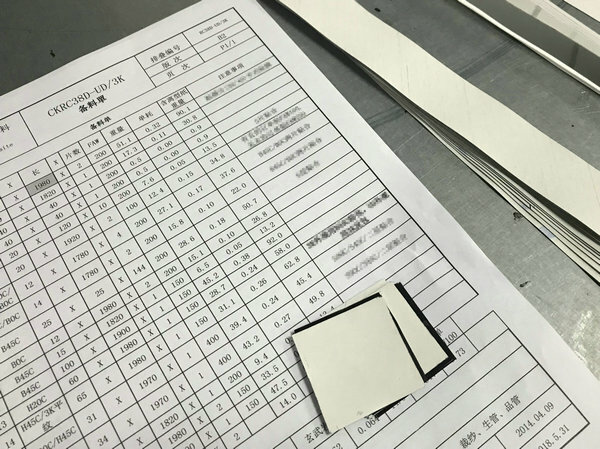 Check weight, sizing, hole count and code after lamination. Check mold tools before getting molded. 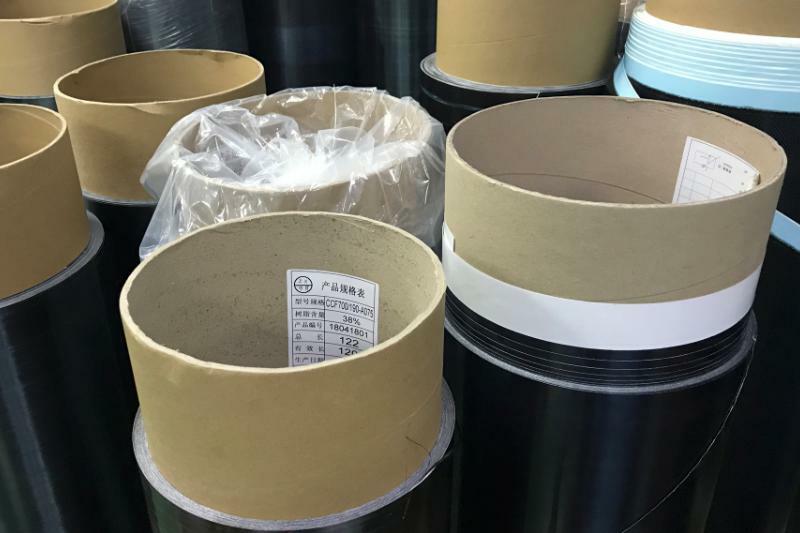 Check rim quality, sizing and appearance after molding. 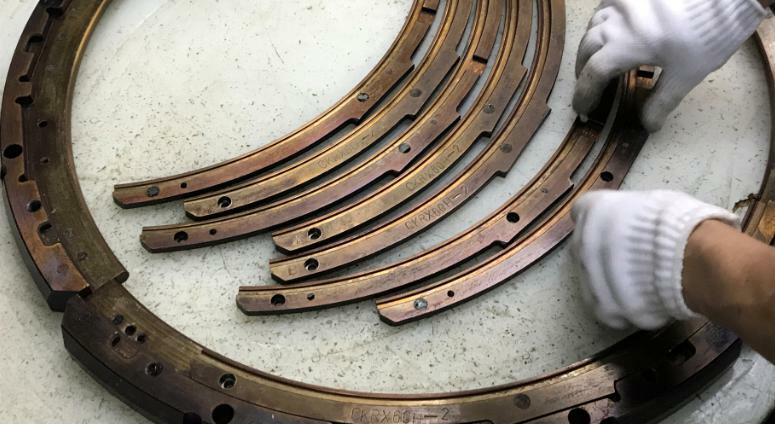 Check to make sure no residue inside the rim, correct hole drilling, roundness and flatness after machining. Check flatness, smoothness and sizing after sanding. Check rim apprearance after painting. Check decals since it demonstrates your brand. 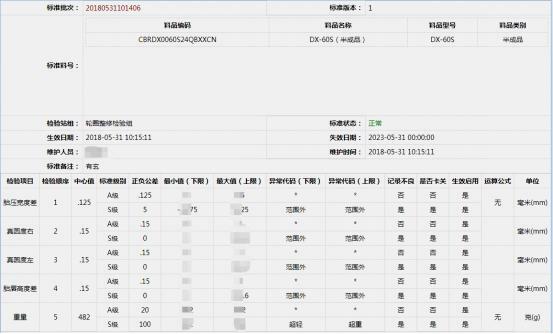 All 30 QC items for one rim get recorded. 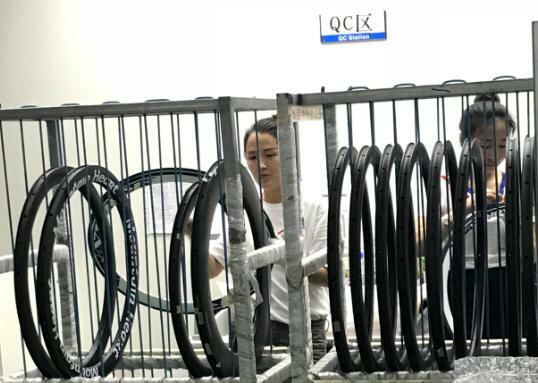 QC data not only tells a rim is OK or NG, but also let you know what is going on in our production line. The data is our great treasure.